On Friday, March 29, Canon USA provided a 3 hour hands-on workshop on recently purchased 4 Canon C100 cinema cameras. 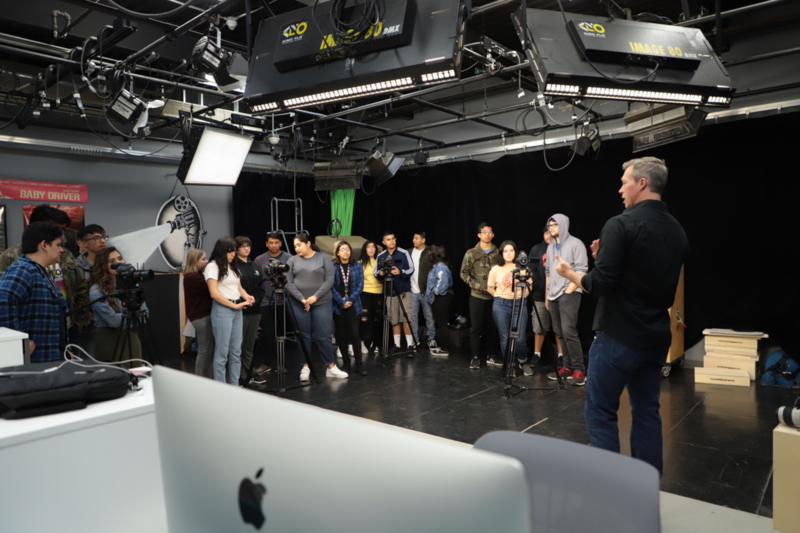 This work-based learning environment was run by Peter Marr and Tony Tran from Canon. 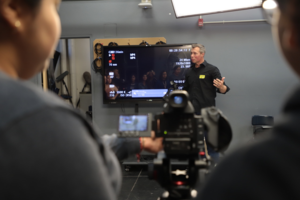 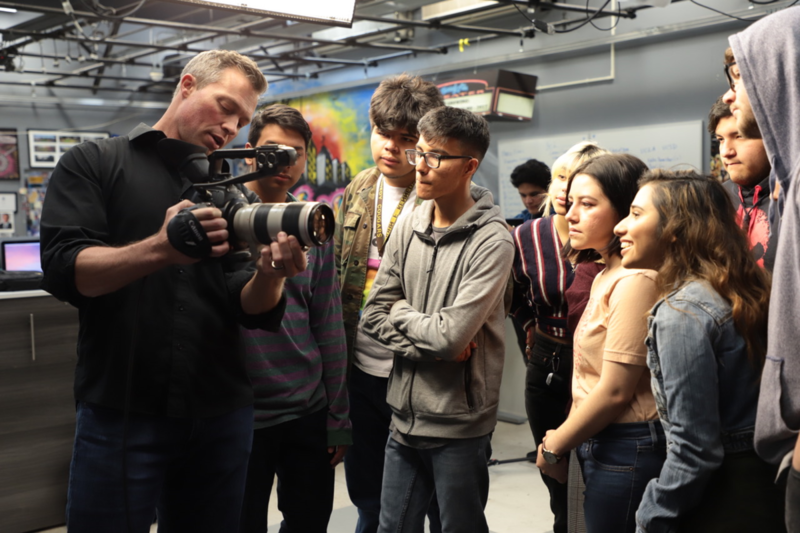 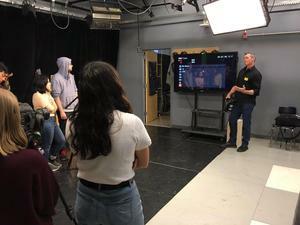 Senior filmmakers were provided instruction on the menus, setup, and performance of the cameras that are currently used by Netflix, NFL Films, and various other professional productions. They even offered to host the Senior Thesis Premiers, a capstone project production for seniors in the Filmmaking strand of the Architecture/Digital Design/Filmmaking Magnet.